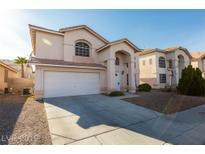 Below you can view all the homes for sale in the Astoria Trails subdivision located in Las Vegas Nevada. 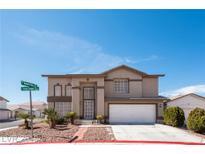 Listings in Astoria Trails are updated daily from data we receive from the Las Vegas multiple listing service. To learn more about any of these homes or to receive custom notifications when a new property is listed for sale in Astoria Trails, give us a call at 702-323-5963. The backyard is your own mini oasis with over a dozen palm trees, half dozen different fruit trees, Grape vines along the entire back fence, Lush garden, Large artificial turf area, Gazebo, and of course gated rv/boat parking - Beautiful kitchen with granite counters, stainless steel appliances & large walk in pantry - Large step down living room with a fireplace - Large master retreat w/ a beautiful remodeled bathroom. MLS#2089279. Urban Nest Realty. 4 bedrooms upstairs and office downstairs! Come Home!! ! MLS#2082063. Love Local Real Estate. Community park is part of the Astoria Trails South Parkside Village HOA. MLS#2077704. Opendoor Brokerage LLC. The Backyard Features An Inground Pool With Covered Patio. Mountains Views** And Gas Fireplace MLS#2076300. BPM Realty. NEW plumbing manabloc/water heater & garage door. MLS#2074914. Offerpad. 1-year home warranty plan provided. Priced right and move-in ready. MLS#2068245. Realtech Realty. THis home won't be on the market long- text seller to tour home today! ! MLS#2068139. eXp Realty. Seller Will Help Buyer With Some Closing Costs. MLS#2067484. Local Realty. Huge Master W/Double Sinks Large Tub & Separate Shower. MLS#2065583. Turn Key Property Solutions. Living room dinning room combo, fireplace four bedrooms three bath. Backyard ready for entertaining. MLS#2050101. Signature Real Estate Group. The master bedroom is up with 3 bedrooms down and a family room downstairs. MLS#2045442. Weichert Realtors - Aspire. Buyer and Selling Agent to verify all information. MLS#2042081. RX Realty.